As part of the Waterfront Seattle Program, the City of Seattle’s Office of the Waterfront & Civic Projects, working with community partner Alliance for Pioneer Square, has begun an effort to improve east-west streets in the heart of Pioneer Square. This project will design and construct improvements on portions of Main, Washington, King and Yesler streets between 2nd Avenue and Alaskan Way. 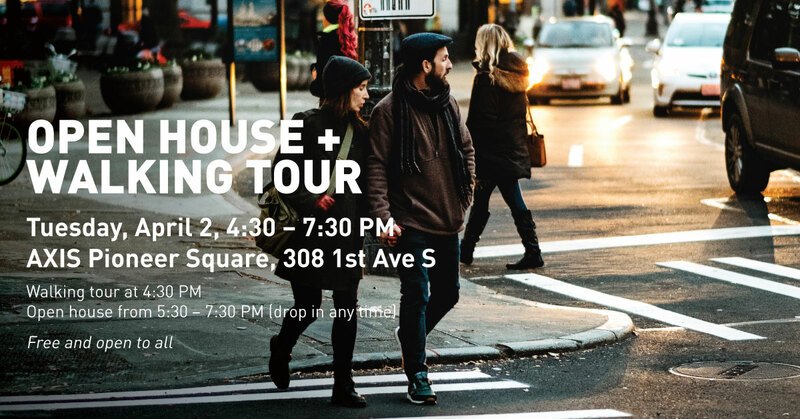 At our April open house and walking tour, we’ll share information about opportunities and challenges in Pioneer Square, and we’ll ask for feedback on community priorities as we begin our design. We’ll lead a walking tour of the area from 4:30 – 5:30 PM, followed by an open house from 5:30 – 7:30 PM (drop in any time). This calendar event post was submitted by a member of the public or an organization unaffiliated with The Seattle Globalist. Questions about the event or this posting should be directed toward the event organizers, who are responsible for this content. Calendar event posts are submitted by members of the public or by organizations unaffiliated with The Seattle Globalist. Questions about individual events and postings should be directed toward the event organizers, who are responsible for the content.